Stitch & Story will be at Spitalfields next week! Don’t miss out on FREE knitting lessons! Come and join in the fun, we’ll be selling our lovely yarns, knitted pieces, as well as knitting kits for beginners! RSVP here! 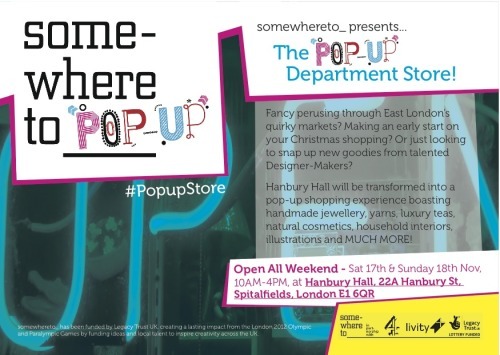 If you do anything on the weekend of the 17th and 18th November then pop down to The Pop Up Department Store!